A speaking activity where students have to ask each other where they want to go and give reasons. This downloadable teaching material is meant for high school students, elementary school students and kindergartners and nursery school students at Elementary (A1) and Pre-intermediate (A2) level. It is valuable for teaching Adjectives with –ed or -ing in English, and is excellent for improving your groups' Listening, Speaking and Reading skills. 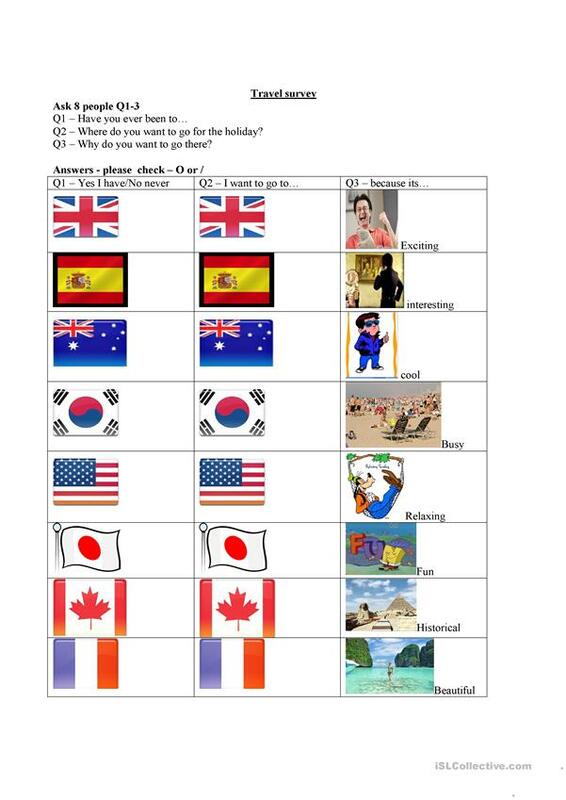 It centers around the vocabulary topic of Travel.